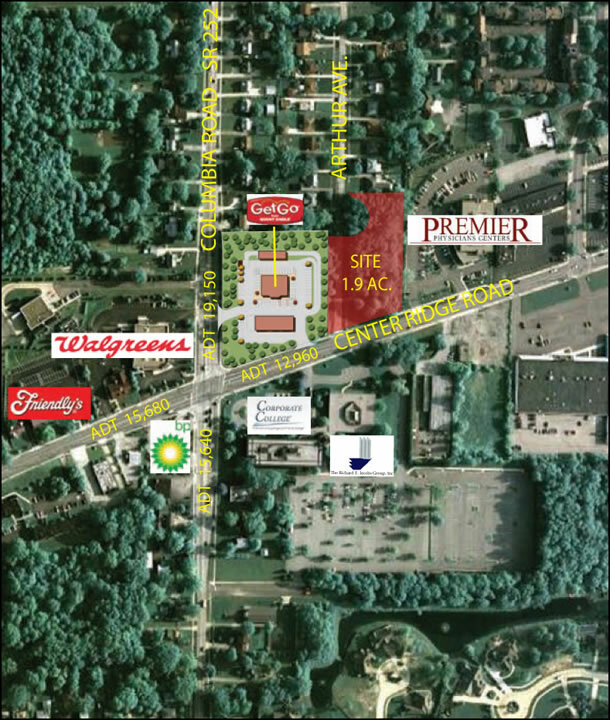 This parcel, zoned for general business, is located at the northeast corner of Columbia and Center Ridge roads. It is adjacent Premier Physicians Center and has excellent exposure from a nearby Walgreens and Cuyahoga Community College. Westlake is an affluent suburb located 12 miles west of downtown Cleveland. Per U.S. census data, it has about 33,000 residents and a median household income of $71,974 versus Ohio’s median household income of $48,000.